Let Reel Time Outfitters shed the stress of your everyday worries and take you on a scalloping trip to make memories of a life time! Capt. Leon Hampton is born and raised in Florida. Being a lover of nature decided his calling was obtaining his captain’s license and making his office view the water. Capt. 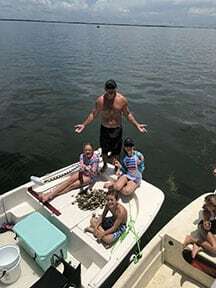 Leon’s goal is having his clients relax and enjoy their time on the water. He is very knowledgable of the waterways and the species in the water. Whether you want to fish or scallop, Capt. Leon is the guide for you. We launch out of Pete’s Pier in Crystal River, FL. 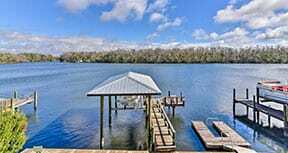 Their address is 1 SW 1st Pl., Crystal River, FL 34429. 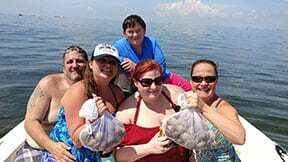 Scalloping trips are 4 hours and are from either 8 – 12 or 1 – 5. Cost is $85 a person up to six people. We supply coolers with ice and chilled bottles of water. We also supply all the gear that is needed for scalloping (mask, snorkels and mesh bags). 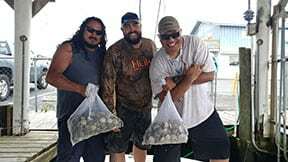 We ask that our clients bring… Drinks and snack for themselves, a hat, sunglasses, sunscreen, a towel, a small cooler for bringing home the daily catch and a camera for pictures. Shade is provided on the boat to get out of the Florida sun.